You can now use your old prepaid number when getting a new postpaid plan. Here's how. Globe prepaid customers can now conveniently switch to a postpaid plan without having to change their mobile number. This game-changing service is made possible by Globe myStarter plan. 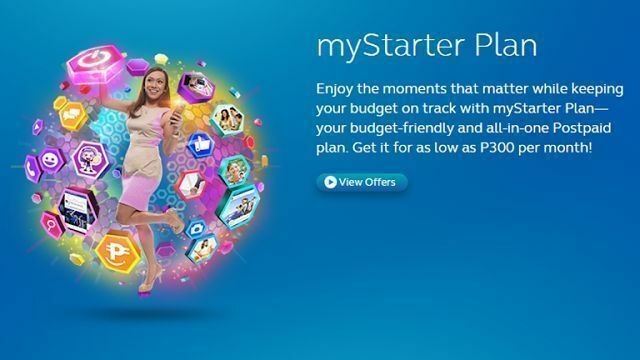 Globe myStarter plan, as the name entails, is designed for customers who are new on postpaid. The plan also offers affordable transition to either Plan 300 or Plan 500. These plans are guaranteed with fixed bill every month giving you a worry-free spending limit. You can also top up with prepaid load should you go over the plan’s limit. Plan 500 comes with unlimited calls and texts to Globe and TM, 300 texts to other networks and 200 MB of data. Likewise, Plan 300 is bundled with 300 minutes of calls to Globe and TM, 300 texts to all networks and 200 MB of data. Additionally, both plans give subscribers free access to Facebook, Viber and 1 GB of data for Spotify Basic. Globe also introduced the new Disney Mobile devices that are exclusively available with Globe myStarter Plan 500 for Php 250 monthly cash out on top of your monthly bill. The Disney Mobile comes in three themes – Frozen, Mickey Mouse and Disney Princess. Customers may visit any Globe store to get the plans and the devices.